One of the NEA's strengths is its system of standing technical committees. These committees enable the Agency to be flexible and responsive to the changing policy needs of member countries. The newest NEA standing technical committee, the Committee on Decommissioning of Nuclear Installations and Legacy Management (CDLM) held its first plenary meeting on 21 March 2019. Comprised of policy developers and technical experts representing regulatory bodies and implementers, the committee was formed to facilitate comprehensive exchanges of national experiences and lessons learnt in the field. It also provides a platform for NEA member countries to advance the state of the art in both decommissioning and legacy management. Chair of the NEA Radioactive Waste Management Committee (RWMC), Mr Jean‑Paul Minon (centre, right) launched the meeting and officiated over the election of Ms Haidy Tadros (centre, left) as the first chair of the CDLM. They are pictured with NEA Director‑General, Mr William Magwood, IV, Head of NEA Division of Radioactive Waste Management and Decommissioning, Ms Rebecca Tadesse (far right), and senior members of the NEA staff. In tandem with the first plenary meeting of the CDLM, the NEA Division of Radioactive Waste Management and Decommissioning organised a "back‑end week" during which the NEA Radioactive Waste Management Committee (RWMC) and the NEA Regulators' Forum (RF) also held their plenary meetings. The "back-end week" facilitated information exchange among the NEA's standing technical committees and generated fruitful discussions on addressing cross-cutting issues. Nuclear skills and education is an increasingly important challenge for NEA member countries, all of whom need to have a new generation of highly‑qualified scientists and engineers to ensure the continued safe and efficient use of nuclear technologies for a wide range of industrial, scientific and medical purposes. The NEA has therefore developed the NEA Nuclear Education, Skills and Technology (NEST) Framework, which aims to nurture the next generation of nuclear experts who can provide the knowledge and leadership needed by the NEA membership in the years to come. The first NEST Management Board meeting was held on 28 March with 29 participants from the 10 countries and 15 organisations that are signatories of the NEST Framework Agreement. During this meeting, the NEST Management Board elected Dr Andreas Pautz of Switzerland as its Chair and discussed and established guidelines for the implementation of the Framework and the first steps towards the development of four NEST projects and activities. These projects cover a wide range of nuclear technologies, from robotics in decommissioning proposed by Japan, SMRs proposed by Canada and the United States, hydrogen risk in safety assessment proposed by Switzerland and radioactive waste management with a focus on graphite proposed by Russia. The NEST Management Board wishes to enlarge the NEST Framework by welcoming additional project proposals, countries and organisations. The NEA is launching a multilateral initiative to strengthen fuel‑ and material‑related experimental capabilities for the benefit of a broad community of users. The closure of the widely‑used Halden Reactor in Norway after decades of service to the international community reinforced the interest of NEA member countries in establishing a new Multinational NEA Framework for In‑pile Fuels and Material Testing. 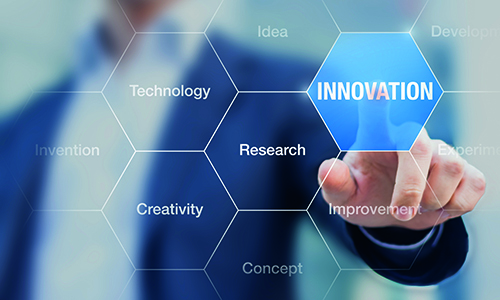 The NEA organised an introductory workshop for this joint undertaking on 4‑5 March with representatives from research organisations, regulatory bodies and their support organisations, and the industry. The participants discussed six proposals for joint experimental programmes to be launched under the new Framework as NEA joint undertakings. They highlighted that the Framework must address continuous needs, complement domestic research, and connect data users with facilities. It was generally agreed that the community should avoid discontinuities in fuel and materials testing and maintain momentum with the prompt conclusion of a framework agreement, developed in parallel with Joint Experimental Programmes based on the most mature proposals presented at the workshop. The NEA will engage on both fronts, developing agreements to connect the interested parties to the current experimental programme proposals, while maturing the new Framework concept. The NEA will also promote the outcomes of the resulting activities at the Steering Committee level to keep member governments informed on the solutions being developed to sustain fuel and material testing capabilities, which is a mandatory requirement for the safe and efficient use of nuclear technology. The NEA is pleased to co-operate with the Electric Power Research Institute (EPRI), the International Atomic Energy Agency (IAEA), Korea Hydro & Nuclear Power (KHNP) and the United Kingdom National Nuclear Laboratory (NNL) to organise a Global Forum on Innovation for the Future of Nuclear Energy in Gyeongju, Korea, on 10-13 June 2019. The forum will bring nuclear power plant leaders, regulators and technology providers from around the world together in a collaborative environment to determine how innovative solutions can be more rapidly implemented in operating plants. It will focus on accelerating deployment of innovative solutions to address the most urgent challenges facing the current global fleet of nuclear power plants. Registration information is available at www.globalnuclearinnovation.com. The NEA Working Group on Human and Organisational Factors (WGHOF) met in Tokyo, Japan, during the week of 11 March to participate in various activities hosted by the Nuclear Regulation Authority (NRA) of Japan. The group advanced its ongoing work on human and organisational factors lessons learnt from the implementation of post‑Fukushima mitigation measures; organisational capabilities for decommissioning; and human and organisational performance. The meeting featured a Learning Forum on Human and Organisation Factors with presentations on organisational capabilities for managing the unexpected, safety culture and leadership, and an enhanced framework for human factors engineering. Participants also had the opportunity to visit the Fukushima Daiichi Nuclear Power Plant and meet with the Tokyo Electric Power Company (TEPCO) employees responsible for decommissioning the plant. The NEA participated in the Japan Nuclear Safety Institute (JANSI) Annual Conference held on 13 March in Tokyo, Japan. The event was attended by over 400 experts, including NEA Working Group on Human and Organisational Factors (WGHOF) members. 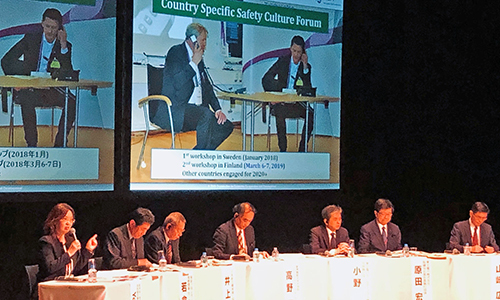 Yeonhee Hah, Head of the NEA Division of Radiological Protection and Human Aspects of Nuclear Safety Division, was part of a panel discussion on Strategy for Improving Organisational Management Effectiveness and Promoting Safety Culture. During her presentation, Ms Hah presented the NEA Country‑Specific Safety Culture Forum series, which aims to help nuclear operators and safety regulators gain a better understanding of how the national context can influence safety culture. She also presented the recently‑published Insights from Leaders in Nuclear Energy: Safety, Performance, and Responsibility , which documents a conversation between NEA Director‑General William D. Magwood, IV, and NRA Chairman Toyoshi Fuketa. 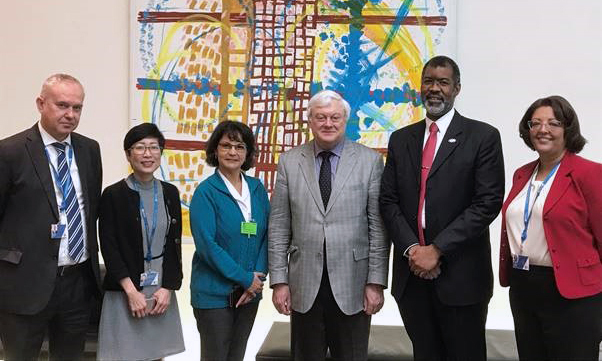 The NEA Committee on Radiological Protection and Public Health (CRPPH) held its annual meeting on 27‑29 March with 64 participants from 25 member countries to review its ongoing work and to discuss its future directions. 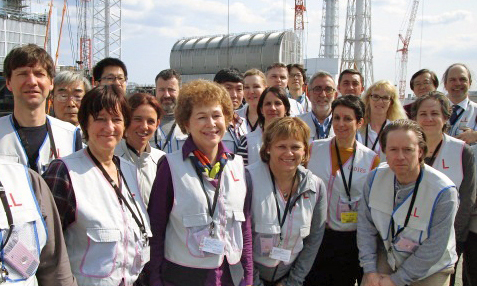 The Committee identified a number of projects in the area of radiological protection and public health, including the global co‑ordination of research in the effects of low‑dose and low‑dose‑rate exposures; developing an internationally‑recognised framework for careers in radiological protection; developing a holistic framework for post‑accident food safety management; exchanging experience with implementation of new eye‑lens dose limits; developing a post‑accident recovery planning approach; and planning legacy management collaboration with the new NEA Committee on Decommissioning of Nuclear Installations and Legacy Management (CDLM). In the area of emergency management, the Committee agreed to work on the co‑ordination of urgent protection measures across borders, consideration of psychological and social effects in emergency protection decisions and understanding the differences in national emergency situation exposure calculation codes. The Committee also agreed to organise new events exploring various areas of radiological protection, including two workshops to be organised in 2020 on reasonableness in radiological protection decisions and optimisation in radiological waste management, decommissioning, and legacy management. 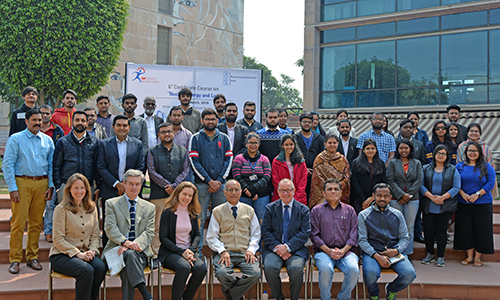 The NEA was a co-sponsoring organisation of the Certificate Course on "Nuclear Energy and Law", which took place on 4‑8 March in New Delhi, India. The course was jointly organised by the Nuclear Law Association, India (NLAIN) and TERI School of Advanced Studies, and brought together a diverse group of nearly 40 students and professionals from across India, representing a wide range of fields including law, engineering, policy, science and research. As part of the Certificate Course, the NEA provided lectures on the Agency's work and on regulatory structures, functions and objectives, as well as on case studies in best practices in nuclear regulation. The NEA participated in the 2019 Study Panel of the Forum for Nuclear Cooperation in Asia (FNCA) on 7 March. Organised by the Cabinet Office of the Government of Japan (CAO) in co‑operation with the NEA, the meeting addressed environmental impact assessment in the legal and regulatory framework for nuclear energy‑related activities. It featured presentations by experts from the NEA, as well as by representatives of FNCA member countries and the United States. The NEA Data Bank organised two training sessions in March on the SCALE Code System, a widely‑used modelling and simulation suite for nuclear safety analysis and design. The first session was dedicated to criticality safety and radiation shielding (KENO‑MAVRIC), while the other one focused on fuel depletion, activation and source term analysis (ORIGEN). The courses attracted 33 participants from 11 countries, who benefited first‑hand from the knowledge and dedication of the code developers. The NEA Data Bank Computer Program Services organises several training sessions every year, contributing to the dissemination of state‑of‑the‑art codes and engaging the nuclear community. These week-long courses provide a unique opportunity to bring together code users from around the globe and facilitate exchanges on the use of computer codes. Further information on the NEA Data Bank training courses is available at oe.cd/nea‑db‑course. FISPACT‑II is an advanced simulation platform for inventory and nuclear observables. It has been developed by Culham Centre for Fusion Energy of the UK Atomic Energy Authority to provide nuclear observables with the most advanced nuclear reaction physics available for all applications, including magnetic and inertial confinement fusion, advanced fission Generation IV and beyond, advanced energy and fuel systems, high energy and accelerator physics, medical applications, isotope production and materials science. For further information and to register, see oe.cd/nea‑db‑course.